← Eurohockey Championships Preview: Men’s Pool A.
Eurohockey Championships Preview: Men’s Pool B. The Top of the D has already looked at the prospects of the teams in Pool A of the men’s Eurohockey Championships. Now it’s the turn of the teams in Pool B. The Dutch have an undoubted pedigree, winning this competition three times and boasting an array of attacking talent, backed up by a mean defence and a world class goalkeeper. The Oranje are a genuine contender to win the tournament. Their recent record is pretty good: runners up at London 2012, runners up in the 2012 Champions Trophy, runners up in 2011’s Eurohockey Championships, 3rd place in the World League Semi-Finals in June, and runners up in the Hamburg Masters. They are always there or thereabouts at the business end of a competition but if you were being critical, you’d have to say with the wealth of talent at their disposal, they should be able to convert some of those “nearlys” into titles. Last Eurohockey Tournament: 2011 Runners Up. Player to watch: Jeroen Hertzberger. Rotterdam’s talismanic striker missed out on selection for the Olympics despite being a fixture in the side in the years leading up to the competition. Since his return to the setup he has been a man on a mission, scoring goals at will. He netted 11 times in the Word League Semi-Final, 6 ahead of the second top scorer. Hertzberger is a potent penalty corner weapon and dangerous from open play. Expect goals galore from the Dutch No.11. Under new coach, Bobby Crutchley, England have had a solid enough start to their new regime. Third place and World Cup Qualification was secured at the World League in Malaysia. Although if one was being critical, they will be disappointed not to have made the final of that competition- losing in the semi-final to Argentina, a side they hammered at the London Olympics. The World League was followed by hidings at the hands of Germany and Holland at the Hamburg Masters, before some pride was restored with a 3-2 win over Ireland. England took on the Dutch again in Wakefield and put in a much better series of performances. Although they lost the NOW:Pensions Nations Cup they will have been encouraged by the improvement in their efforts. Crutchley will be glad to see the return to fitness of Iain Lewers who should give some much needed experience and calmness to the back line and Tom Carson has started to emerge as a goal threat in international hockey. England surprised many and won the 2009 competition with a series of superb team displays that saw them overcome so called superior opposition. There is no doubt with the emergence of Belgium and the consistency of Germany and the Netherlands; they have their work cut out to repeat the trick, but then again, no one thought they’d do it in 2009, either. 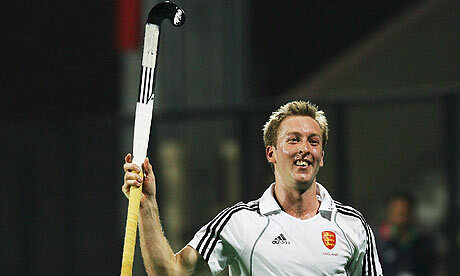 Player to watch: Barry Middleton. Middleton has been a world class performer for England and Great Britain for a number of years now. A player approaching 300 international caps, his experience is of great value to his side. Simply put, he has been there and done it. Middleton has really flourished after spending time playing in Germany and Holland, sharpening his technical ability and his fitness to make him England’s stand out player. Ireland are growing into a very talented and difficult to beat side. With a number of players plying their trade across Europe in the Spanish, Belgian and Dutch leagues it is fair to say the overall standard of the squad has improved over the last few years. They missed out on qualification for the Olympics by a cruel last minute qualifying defeat to Korea. They have worked their way through the rounds in the World League, coming through Rounds 1 and 2 with a record of Played: 8 Won: 7 Lost: 1 Scored: 49 Conceded: 8 which was more than enough to take them to Rotterdam where they lined up in the World League Semi Final. They finished in seventh, but given the quality of the field and how hard they pushed each of their opponents that is no disgrace at all. They finished fifth in their last outing in this competition and with the goals of Conor Harte and the skills of Alan Sothern they could spring a surprise in this group. Player to watch: David Harte. 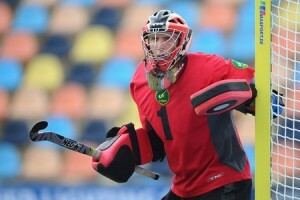 Harte, who plays his club hockey in the Dutch league, has become an imposing figure in goal for the Green Machine. He will be testing himself against the best in the Euro Hockey League next season, but has already caught the eye with a string of fine performances at club level. He won the goalkeeper of the tournament at the 2011 Champions Challenge, a competition Ireland finished third in. Whilst there are a number of talented outfield players in this squad, much depends on how well the 25-year-old stopper performs. Poland have a relatively modest international pedigree. Their hockey success has largely come in the indoor game and not the outdoor version. Their highest finish in a tournament is a 4th place at the 1980 Olympics. Apart from that, they secured 6th at the Champions Challenge in 2011. With two teams of largely home grown players in the EHL they have been exposed to some top class hockey, however, unfortunately, their sides are often the whipping boys of the group and do not progress from the group stages. They did make their way through World League Round 1 but were unable to progress from a round 2 competition won by Belgium. They will rely heavily on the experience of captain, Dariusz Rachwalksi who has over 150 caps to his name. You would expect the Poles to finish bottom of this pool leaving them to scrap with the other minnows, the Czech Republic for the classification places. Player to watch: Krystian Makowski. Makowski has come back from a serious injury setback two years ago, a broken collateral ligament, fractured kneecap and meniscus threatened to cut short his hockey career but he has returned to the fold for the Polish National team and amassed over 50 caps. Still only 23, the striker scored three goals in World League Round 2 and will hope to catch the eye in Belgium. With both men’s and women’s competitions running side by side there is plenty of action to keep the hockey fans happy over the course of the nine day tournament. Both Pool A and B promise to be keenly contested with some mouth-watering clashes to come. You can of course watch the action on the BBC Red Button, details here. You can also visit the tournament website here. 1 Response to Eurohockey Championships Preview: Men’s Pool B.
I’ve only just realised how early on the first England game is tomorrow.